Our gut contains over a trillion living microorganisms – that’s 10 times the number of cells in the human body – and most of these live in the colon – our large intestine. These microorganisms make up our microbiome – this is like our internal gut ecosystem. There are over 1000 different species of bacteria that can be found in the gut and each of us has only around 160. And the interesting thing is that the make up of our microbiome is unique to each of us – no two are the same. Dysbiosis is an imbalance in our microbes – when our pathogenic bacteria become more dominant. When this is the case it can irritate the mucosal barrier in our gut and cause inflammation and intestinal permeability/leaky gut. Likewise inflammation in the gut can deteriorate the microbial environment. The immune system and our microbes are very closely linked. Any cause of gut inflammation whether its dysbiosis, food allergens, stress or alcohol disrupts the integrity of the tight junctions between the cells and can lead to leakiness or “leaky gut” which then causes an immune reaction. More and more research is being done into the importance of the microbiome, particularly as it’s been shown to be altered in conditions such as stress, diabetes, insulin resistance, inflammatory bowel disease, asthma, obesity, autism, autoimmune diseases like rheumatoid arthritis, anxiety and depression and eczema. 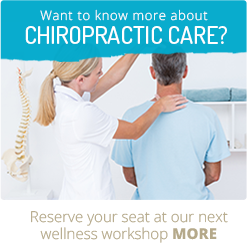 Our modern lifestyles affect the numbers of good bacteria in the gut, as does stress and certain medications such as antibiotics. Our western diet typically encourages a non-diverse microbiome whereas people who eat a more traditional, ancient style of diet have a more diverse microbiome. Our diets are high in sugar, processed food (which are generally high in sugar and low in nutrients), low in fibre and far removed from what natural foods should be. They are also high in saturated and trans fats, alcohol and basically low in variety, all of which has been shown to reduce diversity of microbes and encourages our more pathogenic microbes. So how can we increase this diversity? To encourage our beneficial bacteria and for our microbiome to flourish we need to eat wholefoods with fibre such as vegetables and wholegrains. These foods become pre-biotics in the gut – basically like a fertiliser for the good bacteria – as they ferment in the colon. In other words this food is a fuel and energy source for the microflora. Best source is from vegetables and fruits, and complex carbohydrates such as oats and wholegrains, rather than simple carbohydrates like white bread, pasta, cakes etc. Fermented foods and probiotics also support a healthy microbiome as they provide the digestive system with a wide and diverse array of beneficial bacteria. 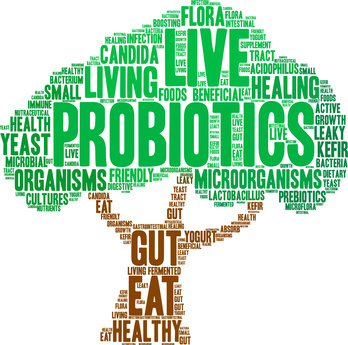 Probiotics are a mix of different strains of good bacteria. They change the microbiome environment and make other microbes stronger, plus they prevent the growth of pathogenic bacteria. Each species of bacteria in our gut has a specific role to play and research is showing that a lack of diversity in our bacteria is now being associated with allergy, asthma, obesity, mood disorders, inflammation and type2 diabetes. The most commonly known gut bacteria are Lactobacillus acidophilus and Bifidobacteria – but these strains only make up roughly 1-5% of your entire microbiome. So do you think just taking these strains will be enough to improve your gut health? Considering we have around 160 species in our guts how do we also increase the other microbes to ensure we have diversity? And how do we get variety in our diet? By eating fruit and vegetables all the colours of the rainbow! We are blessed with natures provision of gloriously coloured fruits and vegetables which are packed with vitamins, mineral, phytonutrients, antioxidants, fibre, and water. Think about what you eat on a daily basis – mostly you select foods you enjoy, are easy to prepare, and are available to buy. So you may always have berries and spinach in your smoothy, or avocado with eggs, lettuce and tomato in a wrap for lunch, and perhaps peas, carrots and broccoli with dinner. You don’t have to think about this … it becomes a habit. Not much variety really. But change this up by adding in foods you don’t normally eat and you start to change your internal environment. What is amazing is that your microbiome will start to change within just 24 hours of introducing new foods. It is important to remember that we have this living ecosystem inside us and the emphasis is on “living”. So not only do we need to feed ourselves, but we need to feed our microbes too. And …. we need to feed them the right food, and a variety of food, to keep the microbiome diverse so they can keep us strong and well. Foster, JA. And McVey Neufeld, K-A., (2013), Gut-brain axis: how the microbiome influences anxiety and depression, Trends in Neurosciences, 36(5): 305-312. Suez, J., et al., (2014). Artificial sweeteners induce glucose intolerance by altering the gut microbiota. Nature, 514(7521), 181-186, https://www.ncbi.nlm.nih.gov/pubmed/25231862, abstract only. David, L.A., Maurice, C.F., Carmody, R.N., Gootenberg, D.B. . . . Turnbaugh, P.J. (2014). Diet Rapidly and Reproducibly Alters the Human Gut Microbiome. Nature 505(7484). doi: 10.1038/nature12820, https://www.ncbi.nlm.nih.gov/pubmed/24336217, abstract only.